Khairul Fahmi Che Mat was largely an iconic figure in Malaysian football in 2011 with his impeccable performances for both club and country. The 22-year-old goalkeeper was impressive in Kelantan's Super League triumph, while also being a consistent figure between the sticks, during Malaysia's SEA Games win. 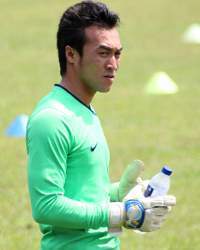 He was also voted as Goal.com's Malaysian Player of the Year and with 2012 up and running, expect further developments from a man already regarded as the best goalkeeper in South-East Asia. Only 21 years old but Hiroki Sakai is already being regarded as a gem of his kind in Japan. 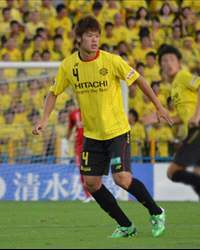 Sakai was hugely influential in Kashiwa Reysol's title-winning 2011 campaign, making that right-back spot his own. Made his debut in the Japan Under-22 team in 2011, scoring one goal in seven appearances so far. 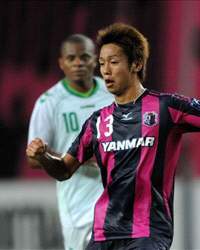 Sakai was even voted as the J-League Rookie of the Year for his brilliant performances. 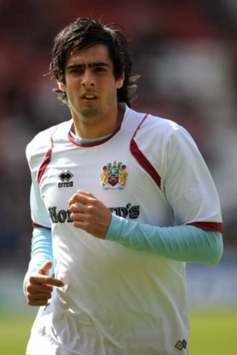 Missed 11 months in 2010 and early 2011 due to a pelvic injury, but upon his return in March, Rhys Williams helped Middlesbrough avoid relegation with some sublime performances in defence and went on to be linked with Premier League club Bolton. He's been a key for his club's impressive 2011-12 campaign where they are bidding for promotion, while he's returned to the national team set-up pushing for a regular run at right-back. 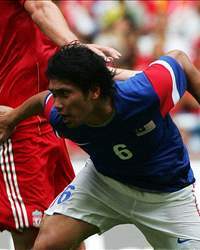 Fadhli Shas was part of the Malaysian U-23 team that received great reviews in 2011. Was integral in Malaysia's run into the final stages of the Olympic qualifiers and also helped them win the SEA Games gold medal in football. His exquisite displays at the back prompted Slovakian club ViOn Moravce to snap him up on loan for three months in September last year. Only 20 years of age, he looks to be a great prospect for Malaysia at centre back. The 21-year-old defender/midfielder had a stellar year with both club and country, playing a big part for Iran as they reached the quarter-finals of the Asian Cup before winning the 2010-11 Iranian title with Sepahan. Hajsafi moved to emerging Iranian power club Tractor Sazi for the 2011-12 season where he has continued his fine showing whilst taking his national team caps to 41 with solid displays for his country in their successful World Cup qualifying campaign. Hiroshi Kiyotake has been a fulfilling presence in the Cerezo Osaka midfield, being an absolute threat for the opposition. He was equally impressive for the Japan U-22 team, who are currently top of their group in the final round of the Olympic qualifiers. As a result of his solid outings in the J-League, he was nominated in their Team of the Year list for 2011. There's no need to explain this selection in detail because Ki Sung-Yueng is by far one of the best midfielders in South Korea. Solid and composed, Ki's presence in the team is absolutely indubitable and his influence in Celtic's bid for the Scottish Premier League title is justified as well. 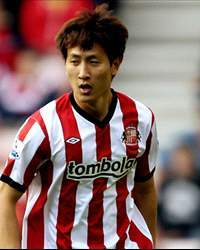 As a result of his magnificent outings this year, Ki has been voted as the KFA Player of the Year by South Korean fans. Odil Ahmedov had to be in our midfield after the young star had a wonderful Asian Cup with his country. He was rock solid at the back and in a deep-lying midfield role and scored one of the goals of the tournament. Moved to Russian big spenders Anzhi in February and has been a regular fixture in their side, prompting a link with Arsenal. He was also voted as the best player at Anzhi for 2011. Dubbed as the 'Indonesian Messi', Andik Vermansyah has been a revelation for both Indonesia U-23 and his club Persebaya 1927. The 20-year-old midfielder also showed great potential during a friendly match against LA Galaxy this year, where David Beckham heaped praise on him afterwards. His terrific displays have alerted several European clubs with Benfica being rumoured to be interested in the Indonesian sensation. The 20-year-old emerged for the Taeguk Warriors at the 2011 Asian Cup as a teenager where he scored four goals for his nation, who finished third. His form at club level with Chunnam in the K-League wasn't nearly as prolific but good enough to see him linked with Newcastle, PSV Eindhoven and Sunderland. He ultimately opted to move to the latter and has since made numerous appearances for the Black Cats, also netting against giants Chelsea and Manchester City. 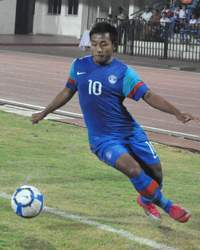 Jeje Lalpekhlua forced himself into the national team reckoning with his stellar performances for Indian Arrows in the I-League last season, when he finished as the top scorer amongst Indians with 12 goals. He was also awarded the FPAI Young Player Award for 2010-11 and has joined Pune FC since. For the national team, having started off with four goals in three games during the AFC Challenge Cup qualifiers, he has an average of a goal every two matches. Jeje also played a vital part in India’s SAFF Championship triumph recently.